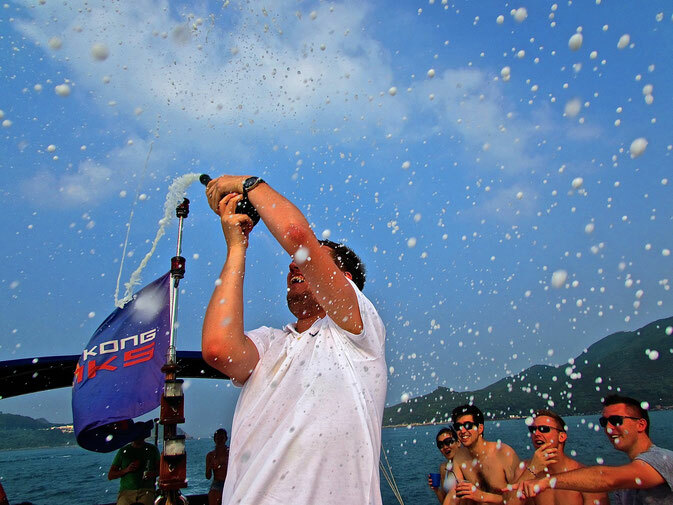 The Summer Of Your Life- With Hong Kong Junks. 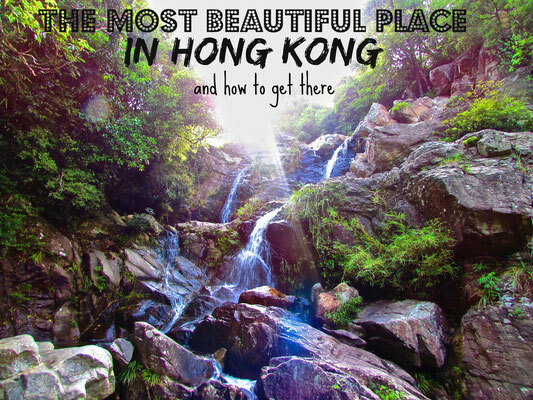 When it comes to the weekend in Hong Kong thousand of fun-hunting expats and residents go in search of the best party, the most spectacular view and the most exciting activity. All in 48 little hours. And in the most ridiculous humidity known to man. 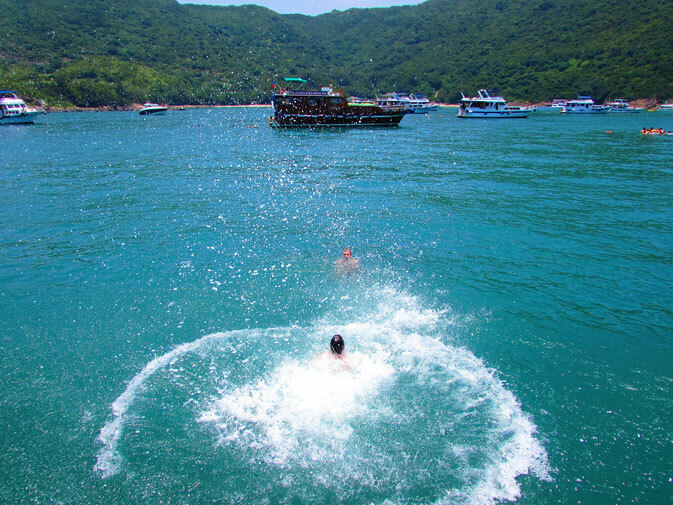 Some go to Shek-O, some to Repulse, some may even get out of the country completely. But then June comes. And June brings with it the start of the Junk season. Weekend’s are no longer left with the desire to escape, but with the desire to start making the best memories of your life in this amazing place we call home. 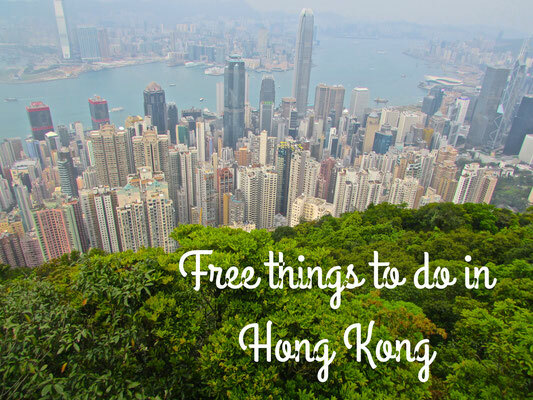 There really is no place like Hong Kong to be during Junk season. So welcome to the best years of your life. Welcome to Hong Kong Junks! You would be forgiven for not knowing what a ‘Junk’ is. Really, Its one of ‘those things’ it’s one of those things you really have to experience to understand our obsessions. And you will. 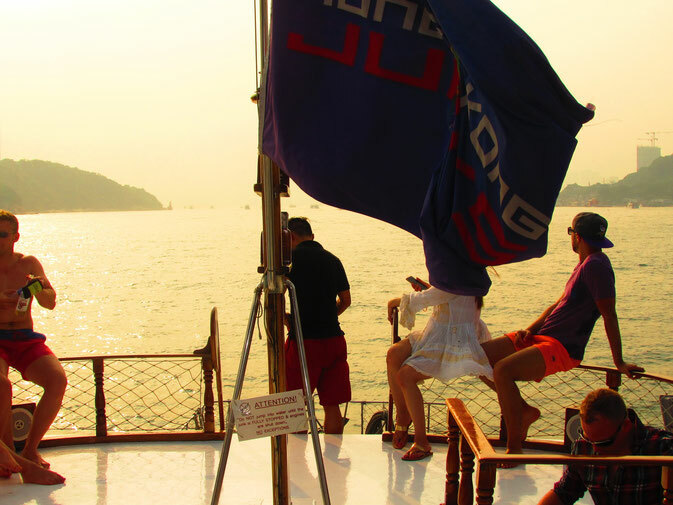 That desire to jump in the ocean, float in the water with a beer in hand, and dance like nobody is watching on the top deck will come pretty soon after reading this. But for now, I will give you a little glimpse of what it is like being onboard ‘Swissy’ Hong Kong Junks 1st child. It’s 11 am on a Saturday morning, let’s be honest, you are probably either hungover tired or ready to relax. And then you are handed a Bloody Mary. Then you know it’s all going to be alright. 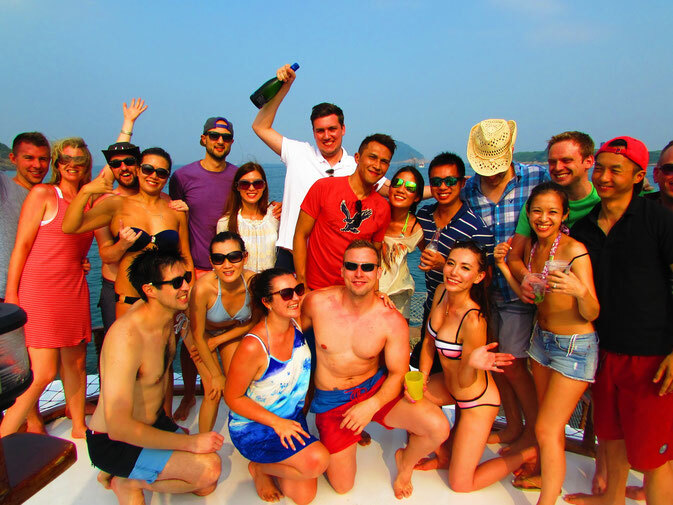 I joined a group of Hong Kong expats celebrating an engagement on board ‘Swissy’ a few weekends ago and we couldn’t have asked for a better day. The weather was ready for us, the staff were ready for us and the ocean was ready for us. All we had to do was sit back and enjoy the ride. 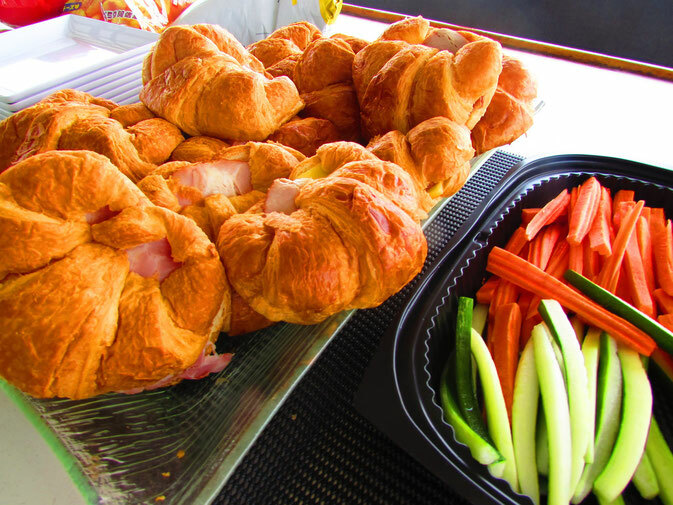 Breakfast was awaiting our arrival on board with fresh croissants fruit and vegetables as we left the busyness of the city and went on to Clearwater bay. Some half an hour later we had arrived in the bay and anchored down for the day. The tough choice was whether to crack open a beer or jump from the top deck. Hours were spent lounging in the ocean while the staff kept us topped up on cocktails. Lunch was then served, which to my surprise, was absolutely delicious. I say to my surprise as I didn't think cooking on a boat would be very practical therefore sacrificing on flavour. 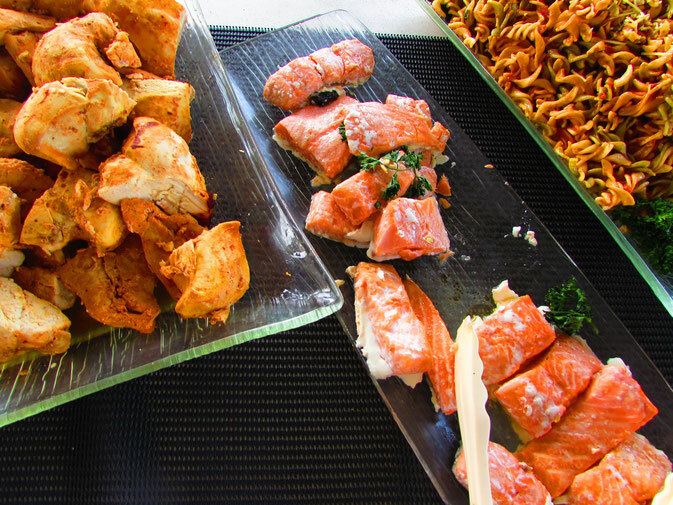 But the fresh salmon was some of the best I had had in HK. If not the best. We tucked into chicken, salad, breads and potatoes like there was no tomorrow. 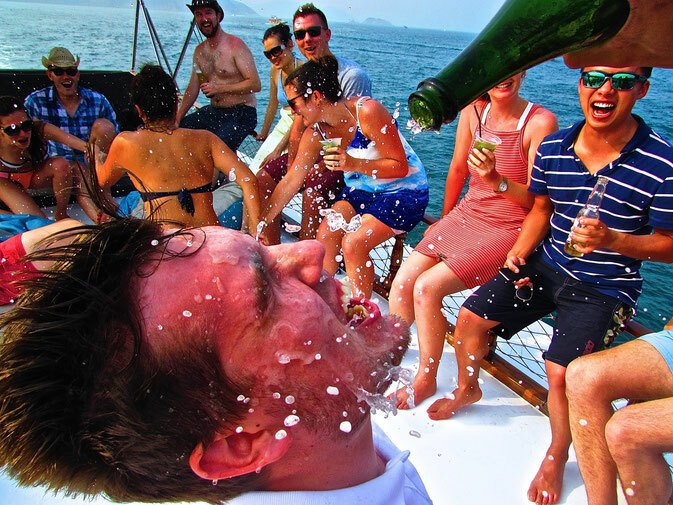 There is something about over indulging on a boat in the scorching sunshine. It was the weekend after all. The drinks starting flowing and the music pumping, before we knew it we were all on the top deck dancing and taking way too many selfies, only to be stopped by fresh brownies and mojitos. New friendships are always made on Junks, it may just be one of the best things about it. 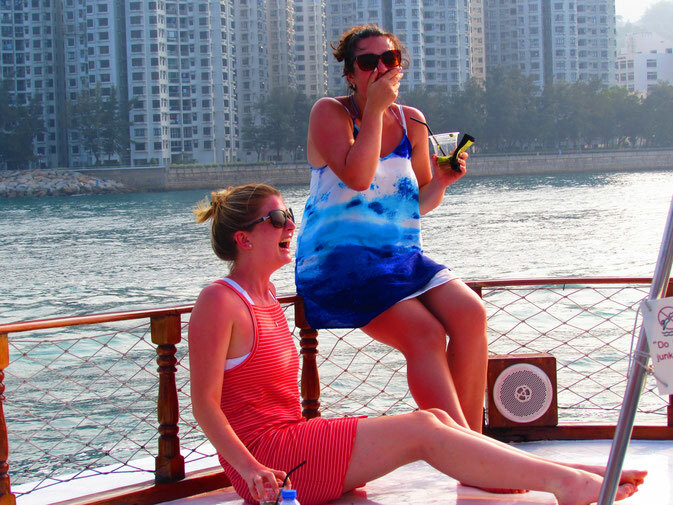 We all laughed and gossiped like we had known each other for years, and bonded over our love for Hong Kong summers. Yup, the drinks were definitely flowing. Around 4 pm we started to head back to the harbour. This was our ticket to get even more drunk and do even more celebrating. The champagne was popping and we fell around laughing at the amount of it that wasn’t going in our glasses. The music was blaring from the speakers as we shouted to ‘turn it up’ after every song. All inhibitions were left in the ocean and we partied like there was no tomorrow. The sun started to set and the skyscrapers starting to appear in the background. I couldn’t believe it had been nearly 7 hours since it all began. I wanted to do it all over again, every weekend. There is certainly something very addictive to junk trips and you can see why. 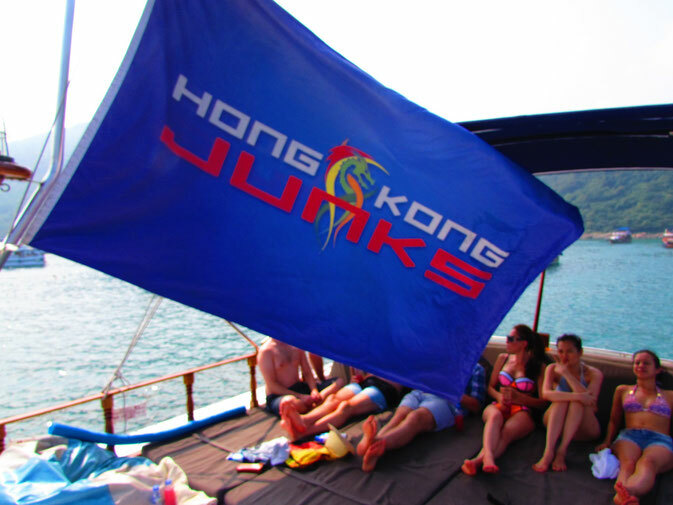 If you are lucky enough to get good service and organisation like we did with Hong Kong Junks then really the only thing you have to think about is when you can arrange the next one. Before we know it life rushes by us, but the memories made in a summer in Hong Kong will be amongst those never forgotten. So what are you waiting for, book your next Junk trip, create the summer of your life.